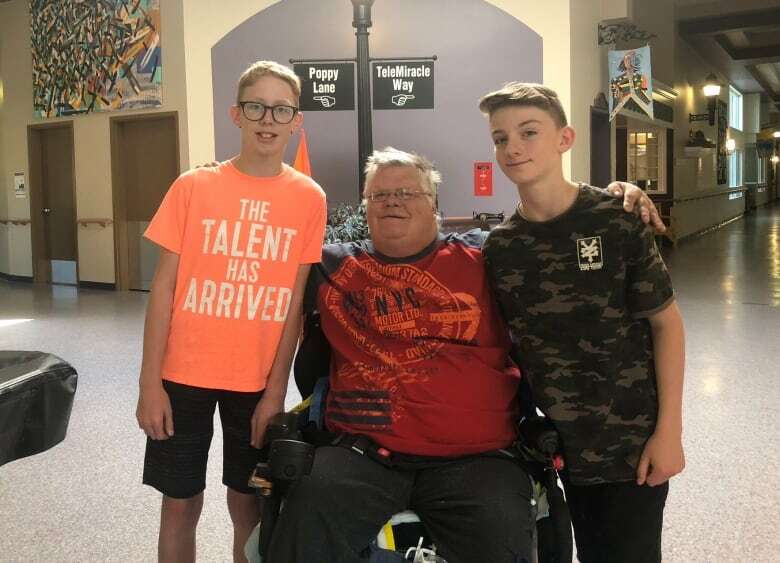 For 25 Grade 6 students in Saskatoon, school happens in a nursing home — all year long. Talk about a different kind of education. David Gutnick's documentary is called "The School of Real Life." Old people living out their days in nursing homes and young people soaking up lessons in elementary schools live in separate universes — Canada's generational silos. But at the Sherbrooke Community Centre, it's a different story. The Saskatoon nursing home houses 263 high-needs residents. It's also the site of an intergenerational school. 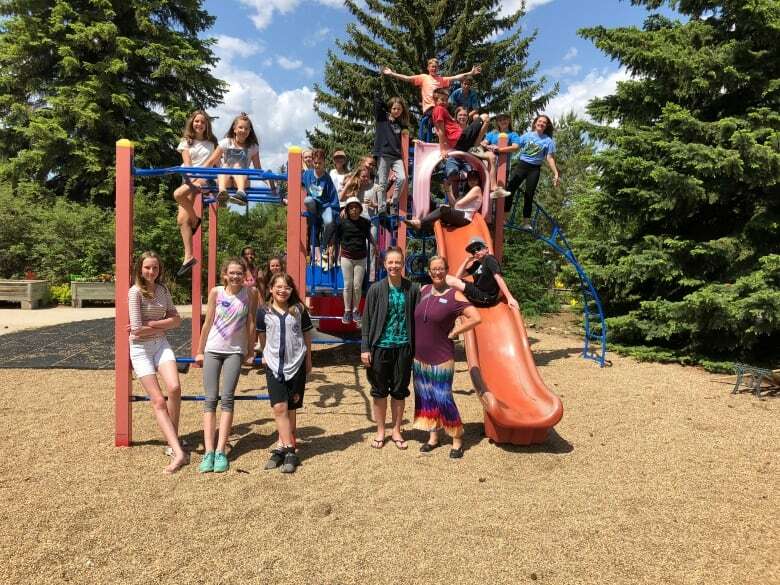 Every year, after winning a city-wide lottery, a batch of sixth graders ditch the traditional classroom and spend a year attending school at Sherbrooke. It is the only classroom of its kind in Canada. After 18 years of teaching in a "regular" elementary school, Keri Albert, the program's founder, felt something was missing. 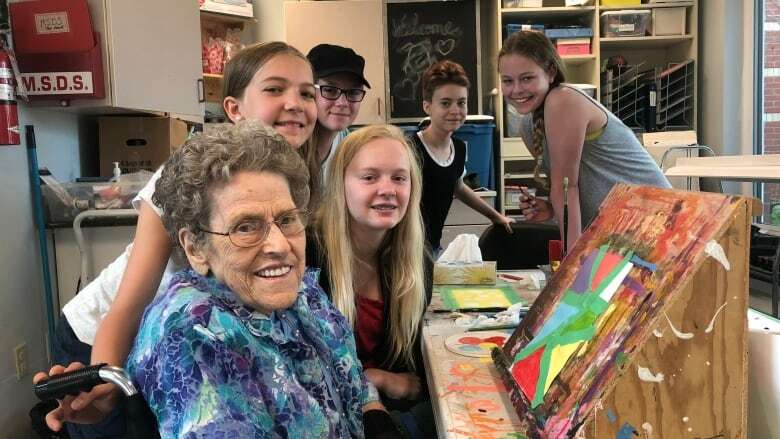 "I lived in a small town and we had all ages and stages and all different types of people around us all the time," she told The Sunday Edition's documentary producer David Gutnick at the end of the last school year. She remembers being particularly affected by her relationships with older people. So in 2013, she went to the Saskatoon Board of Education with a proposal to co-mingle the generations. The following year, iGen was born. Her plan: students would complete their provincial curriculum requirements within the confines of the nursing home. They would be constantly on the move — sometimes all together for math, science and reading, sometimes working one-on-one with Keri, sometimes meeting with the elders. At Sherbrooke, there are no classrooms, no desks, and no blackboards. Students get together with their teachers in the chapel in the morning and again at noon, but the rest of the time they are free to go where they want, and sit with anyone they feel like talking to. The program is now in its fourth year. Albert says she's often asked, "How do you do this?" The secret, she says, is combining lessons. For example, one recent project had students build entire solar systems and present them to the elders. "[The students] not only did their research and built the model, but they also got to practise their presentation skills," Callie Spafford, a co-teacher in the iGen program explained. The purpose of the program isn't just academics, Albert stressed. "We're talking about their character development, we're talking about goals and plans that they have for themselves in terms of their generosity, in terms of their mastery, in terms of their independence, and in terms of being a part of a community which is belonging," she said. "There are things in this environment that you do not see in a school. Because this is an adult world." Death, for example, is a common occurrence. "It was so emotional," said iGen student Brooke, describing how she felt after her friend Vicky, a veteran, died. "When he passed away, we were pretty sad." "If an elder passes away they are not going to hide us from that. They are going to let us know, and we have to learn about grief and stuff, so we have to learn how to cope," she said. Albert said dealing with grief in this matter-of-fact way is a valuable life lesson. "We grow confident. We grow used to and normalized around differences, and we realize it's all just part of the human experience. And at the end of it we're okay," she explained. The school is a life-changing experience for the elders as much as it is for the kids. Dr. Jodi Grant used to teach literacy and children's literature. For her, the students help stave off loneliness. "If we didn't see the kids, we would just be a bunch of old people in this building, and that is stark and it's ugly. Without the kids, I just feel that a part of me dies," she said. "I have the wonderful fortune to be down here with the kids and I am able to read to them and it brings me the greatest joy." Click "listen" above to hear David Gutnick's documentary, "The School of Real Life."